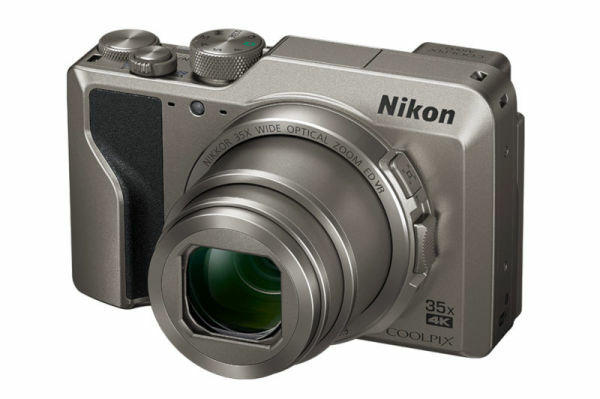 Slashcam News : New Nikon COOLPIX A1000 compact camera offers 35x Zoom and 4K -- more Nikon Z models to follow? 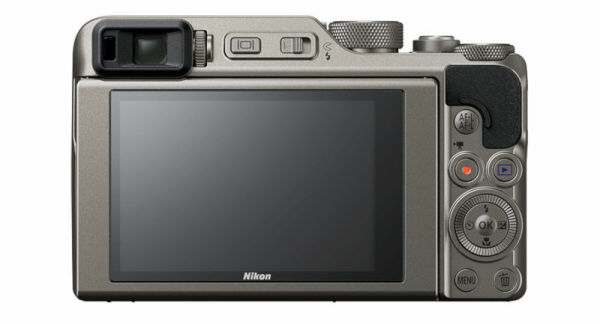 New Nikon COOLPIX A1000 compact camera offers 35x Zoom and 4K -- more Nikon Z models to follow? New Coolpix Superzoom cameras from Nikon will be released in spring -- with the compact A1000 you can also film in 4K/UHD (25/30p). It offers a NIKKOR lens with 35x zoom factor paired with a small 1/2.3 inch CMOS sensor. The focal length is equivalent to Kb 24-840 mm (speed 1:3.4 to 1:6.9). Compared to the very similar A900, which has been on the market since 2016, an electronic viewfinder with approx. 1.166 million pixels has been added. The side zoom switch (directly on the lens) and the snap-back zoom button (for a quick zoom reset) are also new. The rear 7.6" touch LCD can be tilted. The dimensions of the notches are 71.7 x 114.2 x 40.5 mm, they weigh 330g and are expected to cost 449 euros (available from the end of January). In addition, the new bridge camera COOLPIX A600 with 60x optical zoom, which only records videos in FullHD , costs 359 Euro, will also be released. More interesting, but also anything but certain, are the still very vague rumors about further possible Nikon Z-models. Both a Z9 and a Z5/Z3 should stand out in the crystal balls, which would also correspond to a normal course of things: camera series are gladly extended in the sign of product differentiation. The only question is when and how. Whether we will already have a cheaper and/or more professional Nikon Z in our hands this year remains to be seen. deutsche Version dieser Seite: Neue Nikon COOLPIX A1000 Kompaktkamera mit 35x Zoom und 4K -- weitere Nikon Z Modelle folgen?